If you are out and about this week, keep an eye out for this attractive and unusual greenhood with its bottle brush labellum and rosette of “pineapple” like leaves. Commonly known as Woodland Plumed or Bearded Greenhood, or Plumatochilos sp. Woodland Bearded Greenhood. The reason for the phrase name is because many consider that it is a separate species, in this instance, from Plumatochilos plumosum (syn Pterostylis plumosa). Originally all of the Bearded Greenhood were considered as one species – Pterostylis barbata but then Leo Cady named Pterostylis plumosa as a separate species. David Jones in his 2006 tome listed four species, P. barbatum, P plumosum, P. tasmanicum and P. turfosum. Here in South Australia, Bates lists P. tasmanicum and two with phrase names suggesting that they are distinct from P. plumosum. P. tasmanicum – a short plant: short flower stem (not more than 14 cms), short labellum (to 15mm) , short ovary; short blunted galea (hood) to 25mm. It prefers damp, sandy areas and swamp margins. 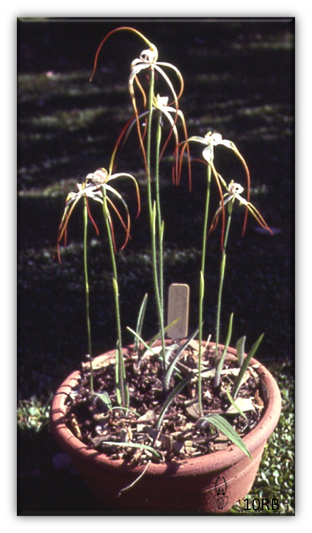 P. plumosum – has length; long flower stem (10 – 30 cm), galea to 40mm with a long tip, long labellum (to 25mm). It is a plant of the woodlands and forests growing on well drained soil. 100 years ago on 15 July 1915, the state government declared Morialta a National Pleasure Resort. The Friends of Black Hill and Morialta have been holding a series of public events to celebrate the Centenary of Morialta. 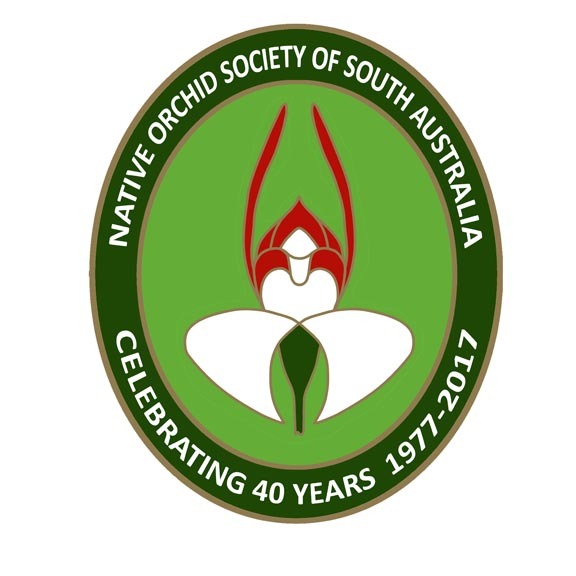 As part of the celebrations, the Native Orchid Society of South Australia has conducted some orchid walks in the park. In 2004, an interim Flora Species List was produced by the then Department for Environment and Heritage and 39 orchid species were listed. It is an interim list and considering that the park is 5.33 square kilometres with a range of different habitats, it is possible that there are more species than originally listed. 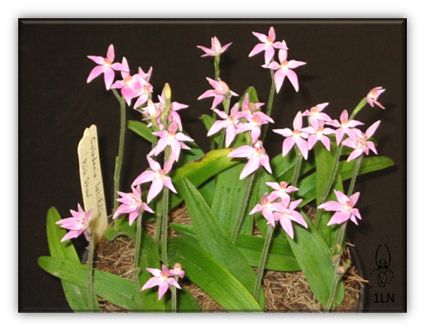 One native species not included on the list is Caladenia latifolia but its presence is well known to members of the Native Orchid Society. 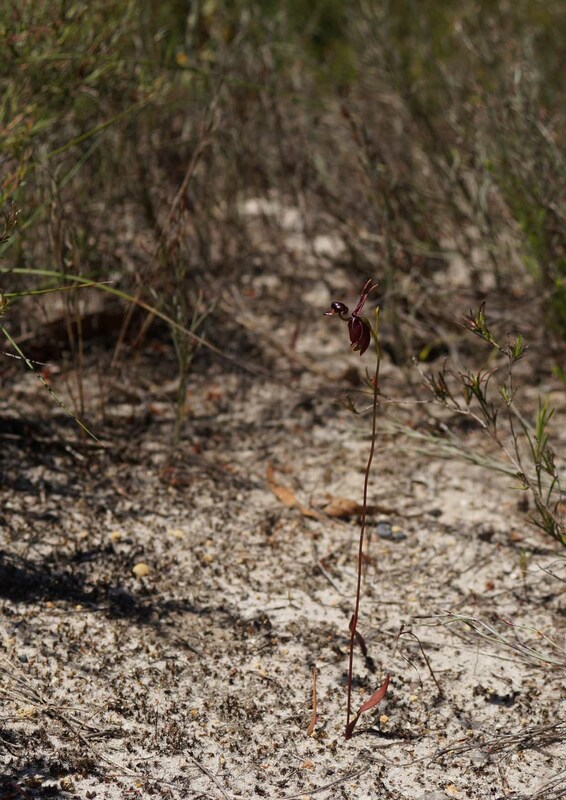 Unfortunately the South African weed orchid Disa bracteata (Monadenia bracteata) has also been found in the park. In this video most of the shots have not been taken at Morialta but it does showcase some of the orchids that can be found in the park. Labellums are fascinating. Well I think they are fascinating, especially the ones that move. 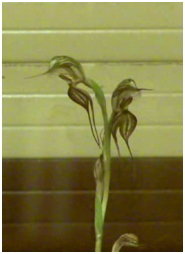 Why do these labellum move? You may have observed that the orchids which have labellums often have “hoods” and inside these “hoods” are the pollen. It is quite simple, the pollinator lands on the labellum, triggers it and is held captive by the labellum. As it struggles to free itself it pollinates the orchid. Clever, isn’t it? So that these labellums can capture the insect they need to be sensitive. Consequently they can easily be “set off.” This can happen with of a gust of wind, or if the plant is in a pot, the labellum may trigger if the plant is moved/knocked. It is easy to see these labellums as they move up into their “triggered position.” They move reasonably quickly, so the insect does not have time to respond. However, how does the labellum return to its “normal” position? Does it slowly return to the position, or does it happen in a sudden movement in the same manner as when it is triggered? One day when I was travelling in the car with a Pterostylis curta (Blunt Greenhood), I observed something very interesting. When I looked at the flower, the labellum was up, but then when I looked at it a minute or two later, the labellum was down. The labellum had to move quickly. However was it the bumps in the road which caused it to move? I had to find out. I devised an experiment to satisfy my curiosity, and find out what these fascinating labellums actually do. First I had to find an orchid with a labellum that could be triggered. I ended up using an Oligochaetochhilus bisetus (Two-bristle Greenhood). Second I had found a good camera that could take high definition video. I placed it on a “tripod” (a pile of books). So I had set up my apparatus, set the camera rolling, triggered the labellum, and left the room. For the first six minutes after I had triggered the flowers nothing happened. There was no movement that I could see. In the next five minutes, the labellums of the two flowers slowly moved downwards until they were half way down. 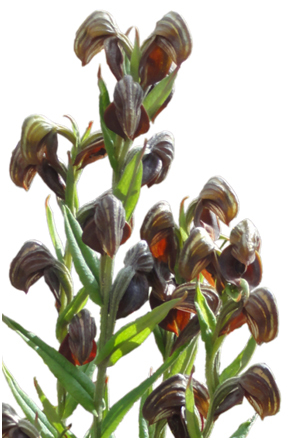 After twelve minutes of the flower being triggered, the labellum returned rapidly to its original position. This final stage of the labellum moving lasted for less than five seconds, and appeared to move at the same speed as when it was triggered. So it looks like the labellum returns to it normal position first moving slowly and then in a rapid final movement which returns the labellum to its original position. If I thought it would be that simple, I was mistaken. As I briefly looked through the fifty minute video I took, I came upon something that made no sense to me. A minute after the labellum had returned to its resting position, one of the labellums suddenly returned to its “triggered” position. What’s more, there was nothing in the room to trigger the labellum: no wind, no insects, and no people. So what triggered the flower? I do not know. Six minutes after the labellum was triggered it returned to its original position, and then two minutes later the other flower’s labellum moved into the triggered position. The first flower was triggered again for no apparent reason at all, four minutes after the second flower was triggered and still remained up. Once the labellums returned to their original position, there was no more movement. Maybe triggering the labellum causes a chain reaction. Maybe the labellums periodically “trigger themselves.” Well, I can’t give you any answers, all I can tell you is that it looks like this is an example of how we barely know anything about these wild gems. They are beautiful but bizarre and of course fascinating! As a 50 minute video is a bit long to watch, Helen has produced a four minute video, so watch and enjoy the music! 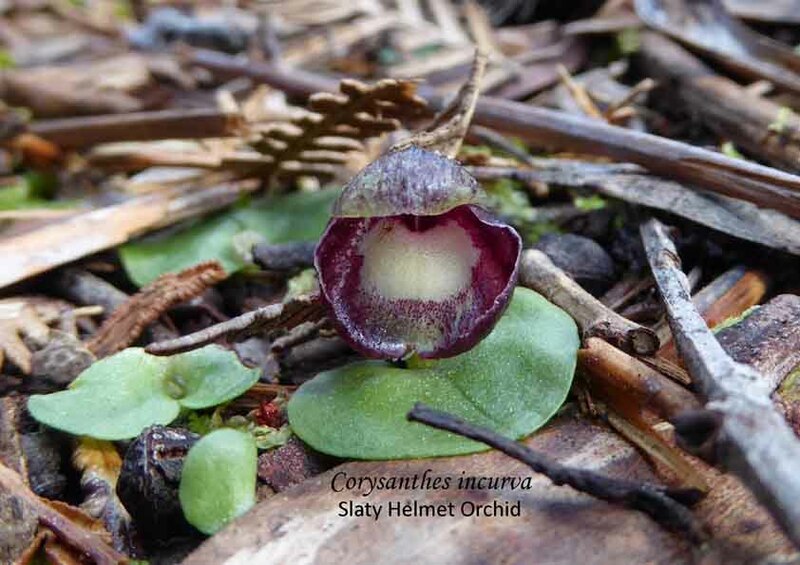 Australia has some of the most varied, if not the most varied, terrestrial orchids. This variety is reflected in the words used in their commons names – spiders, hoods, moose, cowslip, mosquito, comb, fingers, fairies, bearded, ant, bird, frog, helmet, midge, shell, donkey, bulldogs, parsons, bunnies, daddy long-legs, hare, rabbit, onion, leek, gremlin, duck. This list is from words used for describing just the South Australian orchids. The other states particularly Western Australia have even more common descriptive names! With such a variety is there a favourite one? From the searches and questions that come to this site, it would have to be the Flying Duck Orchid. This orchid never fails to amaze people with its resemblance to a duck in full flight. 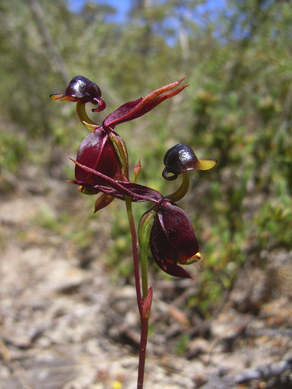 It was no surprise than to discover that the winner for the Australian Orchid Foundation 2014 Essay titled Our Favourite Orchid featured the Flying Duck Orchid. And just a reminder, it is only ever found in the wild. No-one has ever been able to grow one and it cannot be bought or sold! 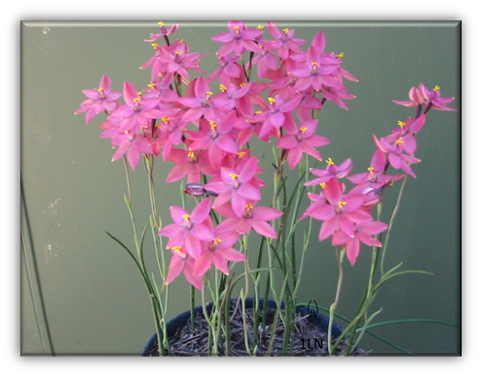 But so that we can all enjoy them, here is a short video clip …..
Back in 2013, Gardening Australia of the ABC produced a video featuring Helen Richards, a Victorian who has in-depth knowledge of growing terrestrial orchids. Though Helen lives interstate and adaptions do need to be made for different locations and conditions, this video of her shadehouse is very instructive for any South Australian’s wanting to grow their own terrestrials. Click here to view the video and read the text. South Australia has some very interesting and unique orchids but it is not always possible see them either because one cannot get out to see them or the season has been poor with inadequate rain at the right time. So, one of NOSSA’s member has produced a video. It starts in autumn and goes through to summer.